With WordPress come end number of benefits and this is why considering migrating to WordPress from any other blogging platform is something that a number of bloggers or site owners must be pondering upon even at this very moment. Migration to WordPress opens an array of features that will lead to the development of your site and these benefits include a wider base of fans, users and viewers, better and useful plug-ins, better performance in terms of SEO and compatibility with various search engines that you might not be getting earlier. However, migration is not the easiest task if you do not have the required know-how and guidelines for it to happen. There are a number of things that you need to keep in mind before and after the migration process and neglecting them can cause damage. 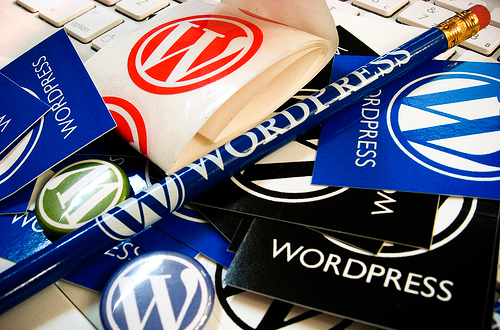 Here are a few of the points that you should consider while migrating to WordPress. If we have considered migration to WordPress as an option, then this definitely means that we already have a set base of viewers and SEO techniques linked to our work, from the previous platform. This could be relatively less from your target but you have a system in place and you do not want to lose this. The first step is to import all the posts and comments from your blogs, and backing databases. You also must maintain permalinks for posts and pages and retain all the feed subscribers and followers. You must also retain the Google page ranks and also make your WordPress site look like the old platform that you were using earlier. This is another step that you must take to ensure that whatever that you have earned till now stays with you. By keeping the URLs same, you are safeguarding your SEO rankings and the potential viewers who click on your links or are about to do so. By this, you can avoid the probability of getting a ‘Page Not Found (404)’ on Google when you revisit. Consider same URLs for pages as well as posts and this can be done with the help of plug-ins like .html on PAGES and Redirection. This is something that you definitely have to do when migrating to WordPress. You need to find one so that you can transfer your blog to it. A few examples of domain are .org or .com and you can choose from them. Also, web hosting service also needs to be looked upon so that you are sure it will work with your WordPress account and you need to find something that is compatible with blogs in WordPress. This won’t be a very tough one as most services are compatible with a CMS like WordPress. Making changes in DNS settings are vital and for this you need to consult a registrar for help, which varies. This will be propagated slowly through the internet and can be done by configuring the name servers. A Records and CNAME records can also be changed with the help of your Domain Name in the registrar. The basic task that you have to carry out here is to take the old domain server and transfer it to a new one and this can be a little complicated if you do not know what exactly you have to do. This is why, reading up and gaining some knowledge as to how to go about changing the DNS Settings is a good idea. Deciding your options beforehand is a wiser thing to do as later you might face problems in switching. WordPress posts can be bifurcated into categories and tags which make it easier for you to organize them and are displayed in a chronological manner. Pages can be directly assigned to a menu item and are known to be ‘evergreen’. Considering all this and deciding upfront is a good idea, to make sure that you are saved from the pain of conversions later. These are a few key points which are essential to the migration from any blogging platform to WordPress and must be considered. If all the above mentioned points are dealt with in the right way, it will save you a lot of upcoming trouble in the future. Christie is a web designer and a passionate writer working with WPCanvas, a web development firm, that offers WordPress migration services with the help of a talented team of WordPress developers and Programmers. For professional guidance, one can also hire an experienced WordPress programmer at an affordable price. Hi! Thanks for this post! I think, as to pages, the best way in a blog is to use posts for posts:) and pages for static content, like homepage, contact. about, services or portfolio etc. I think it can be interesting for anyone willing to migrate (like I am).